Kirkwood Community College will host an artist reception Sept. 21, 2013, as part of the 2013 Iowa Clay Conference Bus Tour. The reception will take place from 7 to 9 p.m. in the Iowa Hall Gallery. 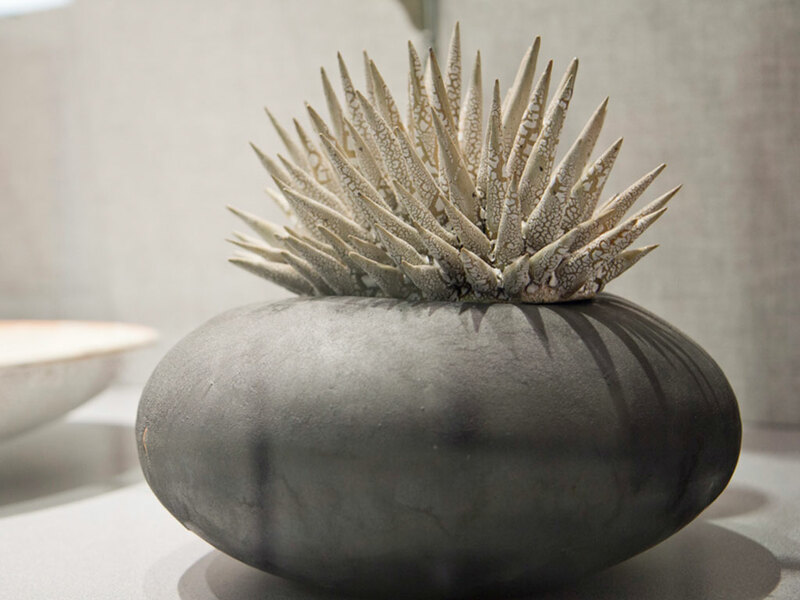 The exhibit features contemporary ceramics from the collection of Todd Thelen and Eric Dean. Thelen and Dean collection includes a wide range of forms from artists across the country. They are drawn to pieces that seem to breathe, stretch and reveal the individual hand of their makers, rather than tightly conform to the perfect 360-degree cylinders of commercially produced ceramics. Wood-fired, salt-fired and soda fired processes were used for pieces in the collection. According to art experts, the size, age and breath of their collection makes it extremely rare. The Ceramic Center is hosting its second biennial Iowa Clay Conference September 20 – 22, 2013, in its studio at the Cherry Building, 329 10th Avenue SE, Cedar Rapids, 52401. On Saturday evening, attendees can take a bus tour of additional ceramics exhibitions at local galleries and colleges throughout the city and at the Cedar Rapids Museum of Art. The Kirkwood exhibit is free and open to the public. For more information, please contact Jennifer Cunningham at 398-4956. When: Saturday, September 21, 2013 at 7-9 p.m.